To keep your New Jersey business as successful as can be, you need to put some work into keeping it looking great from top to bottom. When it comes to its top, that work is as simple as calling AAA Pressure Wash. Our New Jersey pressure washing professionals will keep your commercial roof looking beautiful and new with a roof cleaning. If you’re looking to keep your New Jersey business’ roof standing strong for as long as possible, you can’t go wrong by calling for our roof cleaning work. We’ll make sure your roof remains in tip-top condition so that you can prologue the need for a costly replacement – a benefit which will maintain your bottom line! To make sure your business is a success, you need to maintain a large customer base, and to grow your customer base, you need attract people to your business. While your services and specials can certain go a long way toward doing that, you shouldn’t underestimate how much excellent curb appeal can do to bring in business. To increase your New Jersey property’s curb appeal, you need to call for our roof washing work. We’ll help it stand out and catch potential customers’ eyes with a stunning new roof. 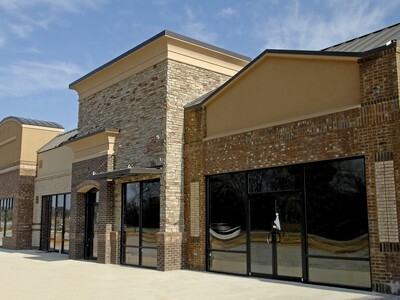 We can even get the rest of your business looking just as appealing with our building washing services. If you are looking for a Commercial Roof Cleaning service in the Northern New Jersey area, please call us today at 888 – 857 – 5441 or complete our online request form.